Designing for metal decorating requires true representation of color, and color standards printed on paper just don’t cut it. 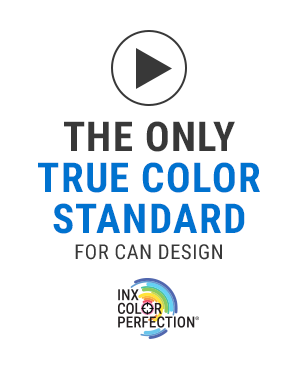 The INX Color Catalog is the industry’s first true color standard for beverage can design printed directly on metal. Brand owners, designers and metal decorators can select, communicate and approve color efficiently, reducing lead times and getting labels to market quicker. The proprietary INX numbering system includes 600+ removable metal color swatches and access to the same INX colors via the INX Digital Color Library available in today's design programs. Order the INX 2-Piece Metal Color Catalog and start streamlining your color from concept to can with 600+ color swatches printed on metal, not paper for a true representation of color. 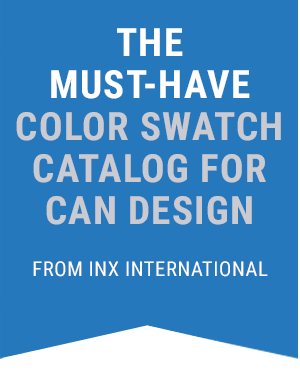 Register your INX 2-Piece Metal Color Catalog and get access to important product updates and the corresponding INX Digital Color Library available for use in today’s design programs. Download the INX Digital Color Library, User Guides and Manuals or Request Technical Support. Whatever your need we offer product support and information to make it easy to get answers.